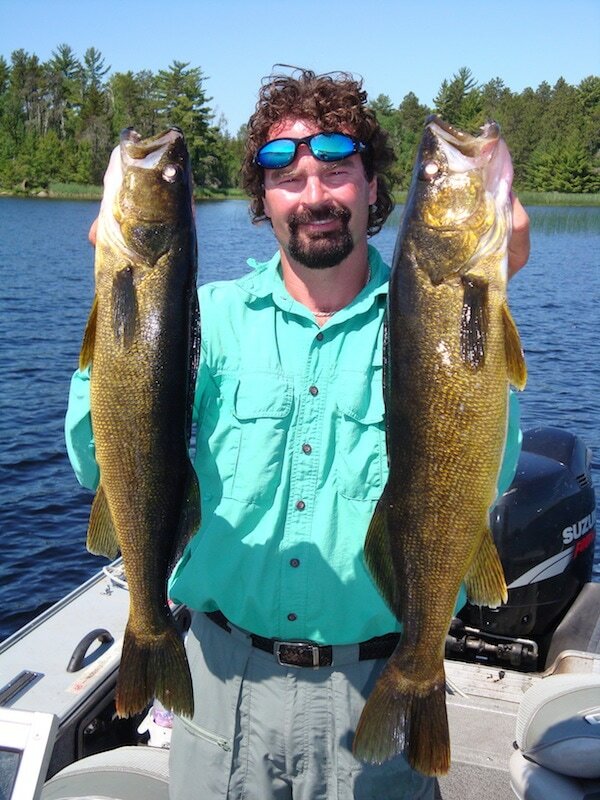 As a Coast Guard Guide on Rainy Lake and Rainy River for the past 26 years, I have become one of the top walleye, bass, crappie, northern, and muskie guides on Rainy Lake. Your experience with me as your guide, whether we are in Canada or the United States, will be one of a lifetime. With me, You are guaranteed to have a day full of adventures, scenery, excitement, and best of all FISH. Equipped with an 18 1/2 foot Lund Prov and 150 horse power Suzuki four stroke with full electronics and top of the line fishing equipment, Fenwick Rods with President Reels provided. What I love the most about guiding is having my clients say they have never caught such big fish before or how they have never caught so many fish before. I love looking at the smiles on their faces! No matter what, by the end of the day I always find the fish.